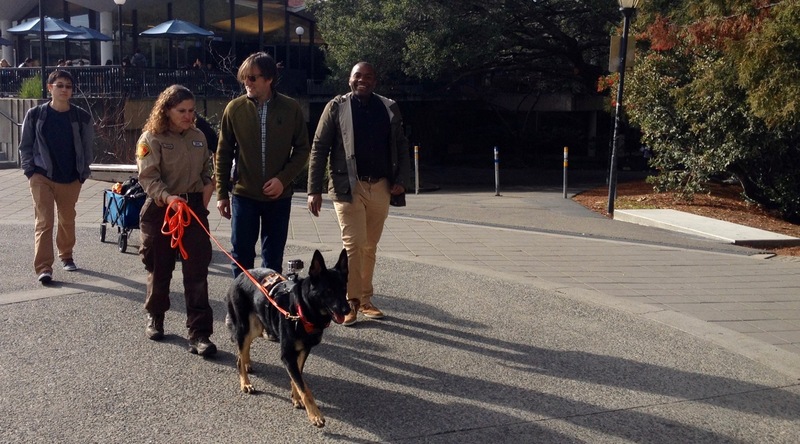 PBS NewsHour goes to the dogs…. PBS NewsHour was so interested in our new olfactory navigation team (http://odornavigation.org) that they decided to film us beginning the grant together, on their new program, Science Scope http://www.pbs.org/newshour/tag/sciencescope/. The producer, Nsikan Akpan, flew out to 4 locations, hiring local cinematographers, to film 6 of the 7 PI’s – John Crimaldi and his group in Boulder, Lucia and the project’s collaborator, Shay Cook and CARDA* in Berkeley, Kathy Nagel (NYU) and Jonathan Victor (Weill Cornell) in NYC and Bard Ermentrout and Nathan Urban’s labs at the University of Pittsburgh. It’s part of a new program to highlight ‘the making of’ science, showing the people and the settings. They wanted to capture how a diverse team like ours came together and how we’re beginning to tackle the big questions of the grant. 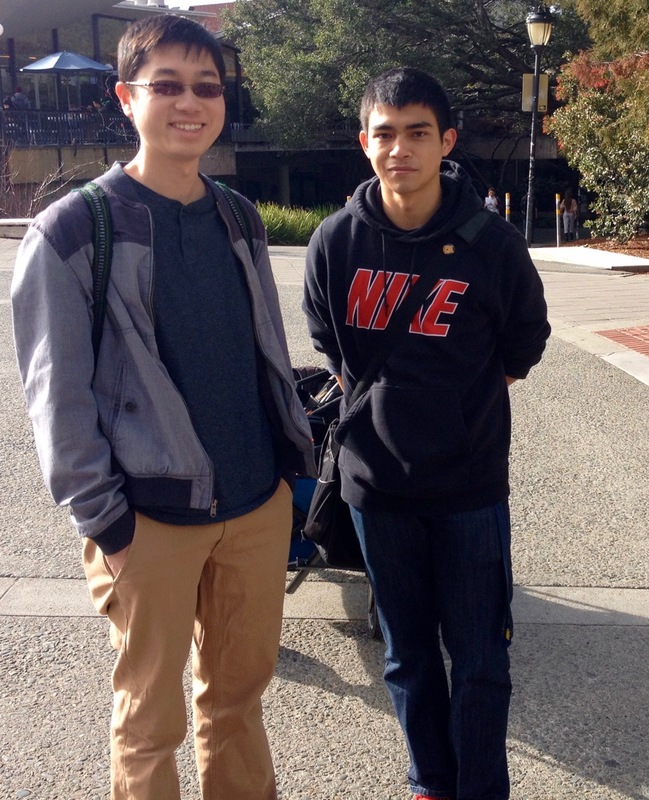 The Ideas Lab proposal and funding process is so rapid that we had just begun the work when they showed up in December. 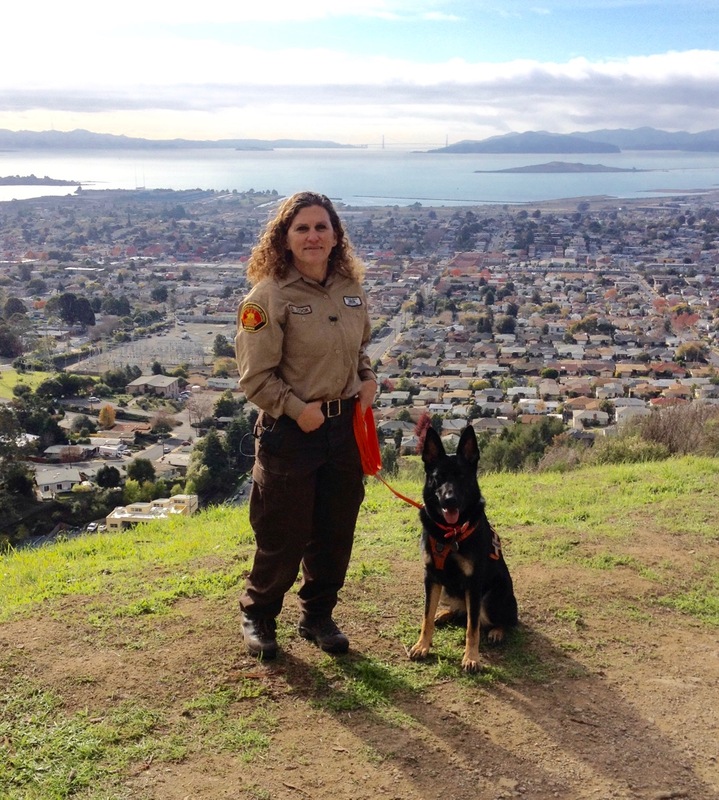 So instead we staged a demonstration: Shay Cook and her new search dog, Zinka, tracking a fellow CARDA* team member across the Berkeley campus and in a local park (the Hillside natural area in El Cerrito). 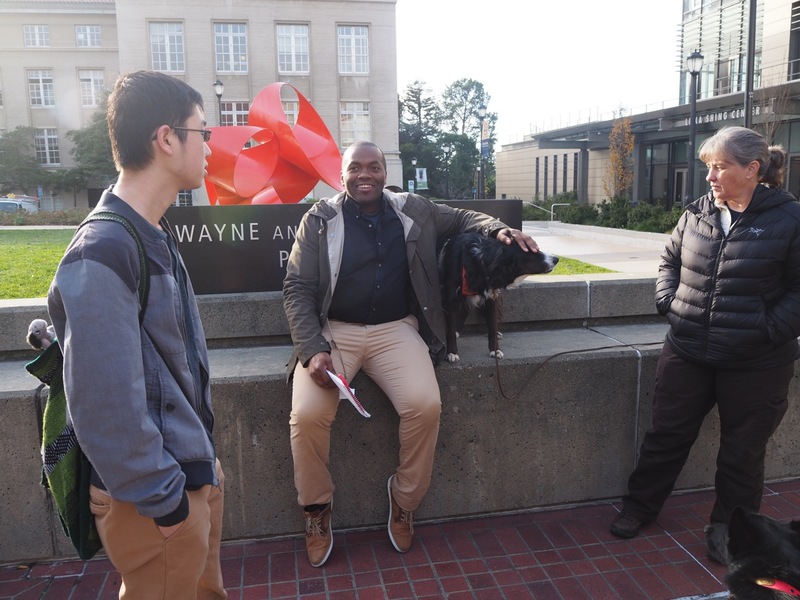 Lab members Alan Xu and Peter Buto helped with the camera equipment (and were filmed walking as ‘typical Berkeley students’ in a cameo), other CARDA members – Alyson Hart and Gig, her English Shepherd – showed up as backup and we all had a great day – going to the dogs.